Slides, spins, jumps and glides: It’s not just Olympians’ years of training that makes their amazing feats possible — it’s also science. Every athlete’s dazzling ski jump or exhilarating luge run is a careful balance of human movement against the forces of gravity, friction and drag. Eight of the Winter Olympic sports take place on a surface — ice — that reduces the effects of friction to almost zero. Before the 2014 Sochi Olympics, the National Science Foundation and NBC enlisted the help of scientists, including professors from the University of Utah, to explain the physics and chemistry that will be on display throughout the 2018 Pyeongchang Winter Games between Feb. 9 and 25 in South Korea. Watch University of Utah physics professor Jordan Gerton explain how freestyle skiers in the Olympics apply physics to land their gravity-defying tricks. Find out why friction + inertia + potential energy + kinetic energy + angular momentum = shredding the gnar and, potentially, Olympic gold. 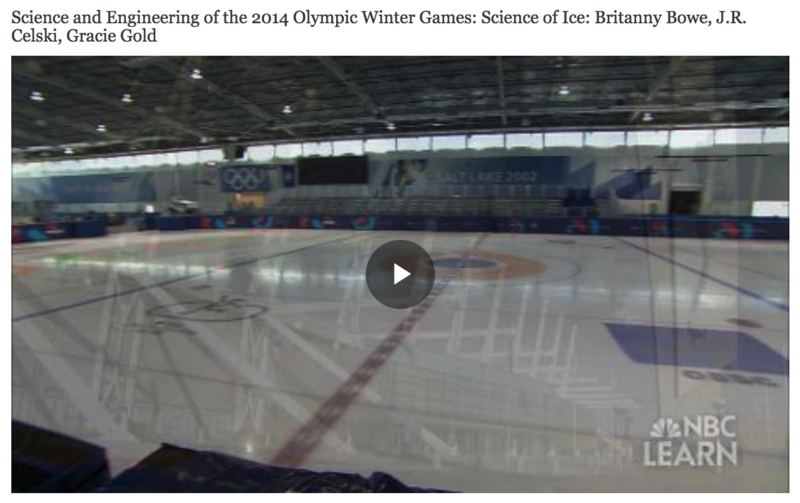 Watch University of Utah mathematics professor Ken Golden explain how ice assembles and why it’s such a perfect slick surface for Winter Olympic sports. Also, Utah Olympic Oval manager Todd Porter explains why ice is kept at different thicknesses for different events. Golden also spoke recently with Smithsonian magazine about Olympic ice. Curious about Golden’s research on sea ice? Learn more about it here. 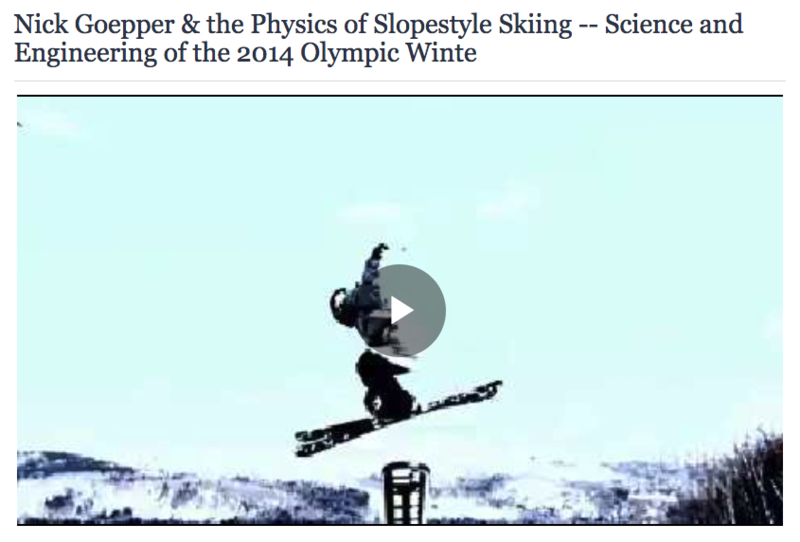 Find all 10 episodes of the NSF/NBC “Science and Engineering of the 2014 Olympic Winter Games” here.